A 3kW solar system in Sydney is a great sized solar system for a small to medium sized home. A 3kW system typically has a 12-panel array and can save you up to around $300 a quarterly power bill if all of the solar power is used in the home. As solar prices continue to fall, it is now possible to get a return on your money in 3 to 5 years using top quality brands! Looking To Get A 3kW Solar System? 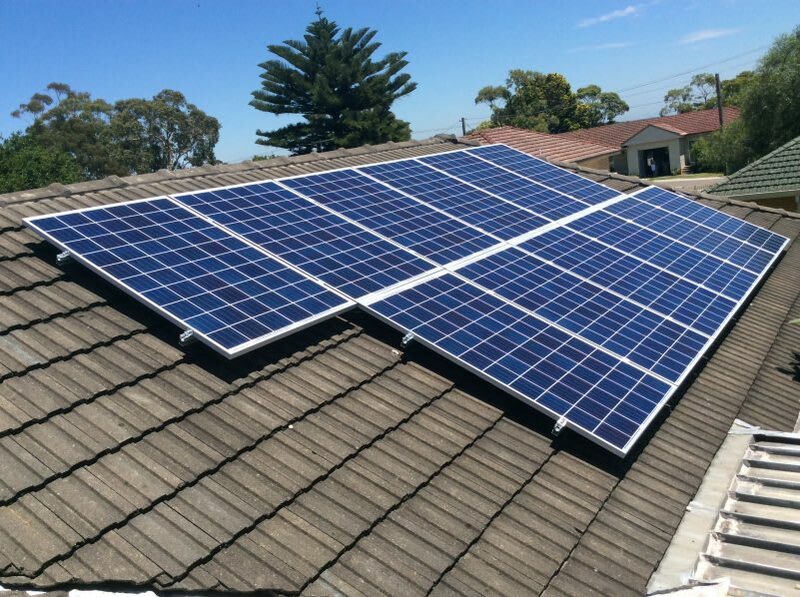 As a price guide, a good quality 3kW solar system in Sydney will cost from around $4,000 for a simple installation, or around $85 a month over 5 years using good quality panels from China such as Trina Honey Modules, and a European-Madeinverter from Fronius. Expect to pay up to around $5,000 to $7,000 for a ‘smart solar system’ including a top of the range high-efficiency panel such as the LG Solar 335W NeON 2 module and panel-level output using Enphase MicroInverters or SolarEdge. This is after a government incentive of around $1800, and it is fully installed and connected to the grid. Our price is always a fully inclusive price, subject to confirmation by our system designers who will often need to conduct a site inspection. Over 80% of our installations now feature panel level output, powered by Enphase or SolarEdge. Of course, these prices will depend on a number of factors, which our solar team can confirm with you either over the phone or during a site inspection when required. This article will look at the benefits of installing a 3kW system, the main brands you should be looking at and provide detailed information to make sure this size system is the right fit for your household. According to the Clean Energy Council Guidelines, A 3kW solar system in Sydney will output around 12 kWh a day (averaged out across the year), outputting more on the long summer days, and less in winter. It is important to understand that this 12 kWh of solar power will be produced during daylight hours, and typically as a bell curve as illustrated below. Depending on how much power you use during the day, typically you would want to have a quarterly power bill of around $400 to $600 (approx. 24 kWh a day excluding any off-peak hot water) to make good use of a 3kW system. A solar system will peak when the sun is shining directly onto the panels, so for an array facing north, this will be for approximately 4 hours during the middle of the day. You can see in the graph how shade from clouds immediately results in a drop off of solar power, and that in summer the system will continue operating until nearly 8 pm if you have the panels installed to catch the late afternoon sun. An important point to take away from this image is that a 3kW system will almost never reach its peak output. For that to happen, it has to be the right time of the day and the right time of the year. In this example, the system is installed on a tile roof with a normal pitch of about 20 degrees. In Sydney during summer, panels that are installed flat will be working at their peak efficiency because the sun is so high in the sky. For this system installed at 20 degrees, the peak output will take place in spring and autumn. So as we can see, the peak output on this system during a sunny December day is only 2.37kWs. But here is the beauty of buying a quality system that is installed and designed by our experts here at Solaray – total system output for the day was 19.9kWs, well above the average. In fact, over the life of this system, it is outputting around 130% of the expected figures, which is fairly typical for our installations. With a good quality solar system, you can expect to significantly reduce your power bill if you are able to use around 70% or more of the solar power as it is generated. *Savings are based on 70% or 100% of solar power being used in the home as it is generated, an average cost of electricity of $0.28 + GST, and a feed-in tariff of $0.12 per kWh. Prices assume a 3% rate of inflation. The output is based on Clean Energy Council Guidelines for an unshaded north-facing roof. All figures are indicative only and are not specific to your system or household. 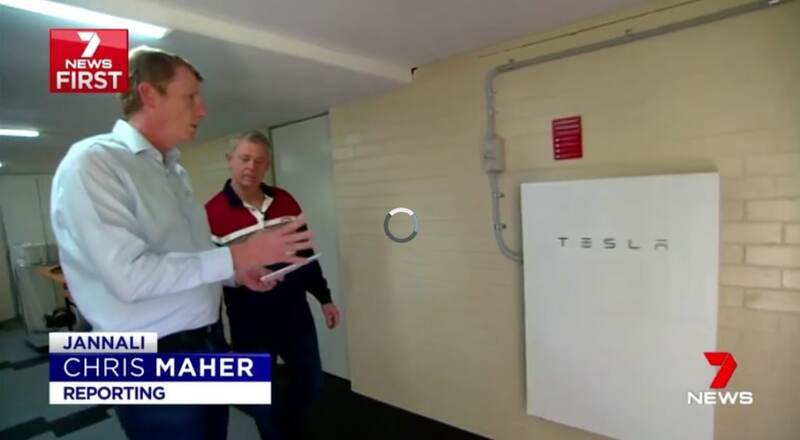 A 3kW solar system in Sydney facing north with no shade will output around 4,271 kWh a year according to the Clean Energy Council Guidelines. That works out to be around 11.7 kWh a day as an average. Based on our own output figures taken from thousands of systems across Sydney, our opinion is that this figure is a conservative guideline. If you are on time of use billing and you pay an average of around 35 cents a kWh for your power, a 3kW system will save you up to $1,281 a year off your power bills. This can be even higher if you have your panels facing west of north. If you pay a flat rate for your power, for example, 28c a kWh + GST, a 3kW system will save you up to around $37,000 over the life of your system. If you don’t use the solar power as it is generated, the solar power will automatically go out to the grid, and you will often be paid a feed-in tariff for this power by your energy retailer. Typically, this FIT is around 12c a kWh and it will come off your power bill as a credit. As technology improves we are now seeing high-efficiency panels drop in price, such as the LG Solar 330W panel, while the Trina Honey Range now have a 270W panel as standard. This means that for a 3kW Solar Installation in Sydney, Solaray designers are putting together 10 to 12-panel arrays, either in series with a string inverter or as a 3kW Micro Inverter System. Solaray is the number one installer of Enphase Micro Inverter systems in Sydney, and our system design team are experts at putting together a professional solar array that will maximise solar output in all conditions. If your roof is unobstructed by shade, is orientated north of either east or west and can fit 12 panels (1.7m by 1m), a string inverter system will be the best value option for your home. It is important to make sure the roof is clear of shade, as even if just one panel is slightly shaded, the whole array will drop down to the output of the worst performing panel. An important point regarding a 3kW system using a string inverter is that it is not best practice to have split arrays. typically we like to see a minimum of 7 panels in each string as this creates enough voltage to run the inverter properly. If you give our team a call, we can run through the pros and cons of a split system, match you up with a good quality dual input inverter and try to convince you to buy an extra two panels (we will give you a good price, I promise), so that you have a highly efficient system that works really well in all light conditions. With Solarmax recently disappearing, along with a long list of smaller manufacturers, it is critically important that you stick to the main brands when choosing an inverter. This will ensure adequate support post sale in the event that you need to claim on the warranty. The two main European 3kW Inverters are the Fronius and the SMA Sunny Boy 3kW. Both of these options come with a 5-year warranty as standard, and yes, you can extend it but most of the time we recommend you save your money and stick with the 5-year option due to the bathtub curve. With solar prices so low these days, we find many customers buying 4kW and 5kW systems even when their quarterly power bills are around $500 or lower. By installing extra capacity and taking advantage of generous government incentives, we see many households increasing their power usage to invest in their lifestyle by running pool pumps, air conditions and even spas from solar power. As solar batteries become more popular, installing a large enough solar array to power your house on solar power 24 hours a day ensures you are 100% ready to invest in batteries when you choose to do so. Please contact us for more information about battery-ready solar systems to discover what your options are, as not all systems are easily expandable.